Forecast 2017, the 3rd annual conference defining the future of “sales science” is now history. I attended this conference, hosted by Base CRM, all day today, September 18, 2017. I attended it last year as well. I think it is fantastic and I will attend again next year. They’re on the right track to something, but I’m not so sure that sales science is that track. If you’re a sales operations or management executive, and you want to understand the current trajectory of sales technology, then this is a must-attend conference. If you are wondering about the intersection of data mining, statistics and sales, yes, please attend next year. That said, this is not, to my mind, a science conference. 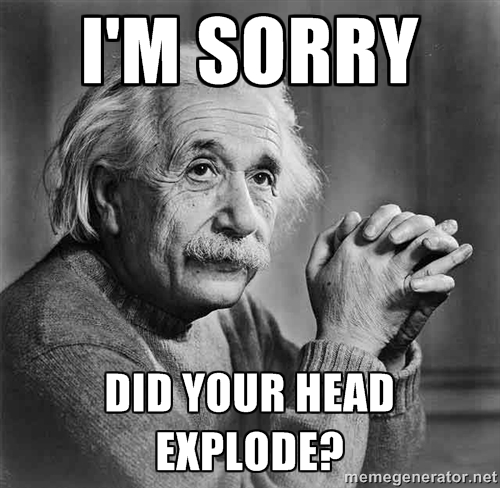 Presentation of falsifiable scientific theories of closing sales? No. Peer reviewed papers? No. 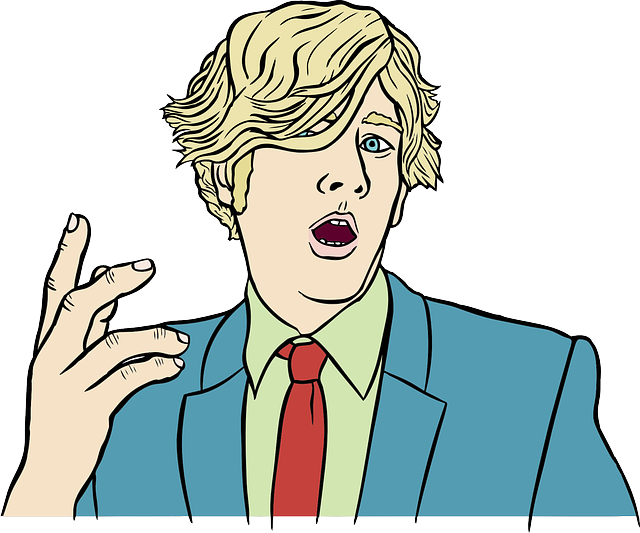 Crazy new conjectures on what makes sales “tick”? No. New sales applications for cutting edge science, mathematics or computational complexity invented or discovered for other purposes? No. Forecast, the annual sales conference, is closer to an 8-hour infomercial for Base CRM, but I don’t see that as a negative. This is genius marketing, and I applaud Base CRM. They put on a great event and it’s worth the time and money to attend. But after decades in sales (and having designed and implemented CRM systems going back to Act 1.0), I can say that Base CRM is missing an incredible opportunity to found a new branch of science. I can only speak personally about my scientific effort at Salesphase, which is focused on high-value, long sales cycle complex B2B deals. But I have to believe there exists a potential to bring together the best geek minds on the science of sales. Maybe it could be an off-shoot or sub-conference of Forecast. I hope I’m not alone in this thinking, but take Salesphase as an example: It posits that only a fraction of the information important to closing complex deals is ever captured by a CRM program or sales automation tool. Not only that, but the data it fails to capture is far more important to closing deals than what it does capture. But to fully flush out the Salespahse conjecture, and its value to sales software applications, requires an understanding of complex Hilbert space, vector calculus and complexity theory. Base CRM is a company uniquely situated to take advantage of incredible computational techniques that have never before been applied in the realm of sales. Techniques that (metaphorically speaking) replace the current beads on an abacus and notches on a stick with quantum field theory. I’m not exaggerating either: The mathematics behind CRM and sales automation tools is how old? At best 330 years old, as in Newton’s Principia Mathematica published in 1687. At worst we’re talking 3,617+ Babylonian lunisolar years old. The clay tablet pictured at right is a Babylonian calculation of the square root of two. At least they were thinking about irrational numbers, which is on the scale of the floating point mathematics used in CRM data analytics. But what about imaginary numbers? They can represent valid non-deterministic states of a real system–states which cannot be directly measured. This has interesting applications to the possible states of customer systems. If a sales application took advantage of the power of Hilbert Space to model complex sales, that would move us up to the first decade of the 20th century. Throw in Topology and Braid Theory and we could even push sales science into the Cold War era! Salesphase is topological in some aspects, that is, it can be represented as a geometrization of a new sales calculus. At least it uses mathematical concepts from the 1950’s. I’m confident intelligent young people could get sales into the 21st century of mathematical concepts. CRM “simple math” drove me crazy as a senior Sales Executive at 3M Company. At that time, for a hobby, I was writing science book reviews for a literary website, and I thought, “Why aren’t we using these amazing current mathematical/scientific advances to improve sales performance?” I personally used just a little of what I’d learned to crack the enigma that was Boeing Commercial Airplane’s Wichita Division (now Spirit Aerosystems). Ten years later though, I’m still asking the same question: why are sales organizations using the most advanced mathematical and scientific techniques? My answer so far is, “the language barrier.” The vocabulary that scientists and mathematicians use has no meaning to sales software developers. I would enjoy being a translator in this case, I think a lot could be accomplished. Unfortunately, the “sales science” behind the latest software tools is more limited to statistical data analysis of information gathered by CRM programs. Despite what I am saying, these efforts WILL be successful. That’s because doing a better job analyzing mounds of information is guaranteed to improve sales performance. But is it the optimum method in all cases? No. Anyone with a computer science degree knows that for big problems, search-sort is less efficient than similar sized decision problems. Salesphase is more like a set of decision problems, it does not require mounds of often stale contact data and sales history to predict the next best move, or the probability of closure, or the “state” of a customer with respect to signing a contract for your product. I have always maintained that much of CRM data is either to “explain what you’ve been up to” to a manager, or to funnel information to marketers. Of course, that’s not always the case. I once solved a major customer nightmare (involving the manufacture of specialty optical fiber) using Siebel CRM 7.5.2. It worked because there were so many people involved over such a long period of time that I could not rely on my memory or email. I probably could have used an Excel spreadsheet, but I was part of the Siebel implementation team for my small corporate business unit, and I wanted to demonstrate to my boss what CRM could accomplish. 3M Optical Components won a supplier award from Honeywell Defense & Space as a result. So, don’t get me wrong. I’m pro-CRM. During Forecast 2017, the closest thing that came to science was the Gong.io presentation by CEO/Founder, Amit Bendov. Why was it the best? Because it wasn’t anecdotal. It wasn’t the perspectives of a VP of Sales, a Chief Revenue Officer, or an executive panel talking about inspiring sales teams. Amit presented the outcomes of data generated by a what appeared to be proper study of 3 million minutes of recorded sales meetings/calls. It revealed important correlations with “success,” where success is defined as “moving a deal forward.” My ears perked up for this. The average length of a successful sales presentation is 46 minutes; the longest sales rep “monologue” in a successful sales meeting is 76 seconds; in the second half of a demo, the amount of times dialogue switches between sales rep and customer increases 36%; finally price isn’t discussed in detail until 38-46 minutes into an average successful presentation. Clearly, the number 6 plays some mystical role in sales success! I loved this. It’s a bunch of useful benchmarks. How might successful sales science theories be measured? By comparing results of sales outcomes using a new theory with the benchmarks that represent a spectrum of traditional sales techniques (as represented by Gong’s sales meeting data set). I see great things for the growth of the Forecast annual conference. In a sales technology industry dominated by Salesforce.com, Inc., this conference is a welcome respite. But, please, if there’s anyone else interested in building a community for rigorous sales science, contact me. –John Clark, john @ salesphase . com. The process of selling is a process of decryption. Customers are rarely transparent when it comes to their internal decision process for purchasing products and services. The standard method of selling is to build relationships, gather as much information as possible, and then make what really amounts to intuitive guesses about the next best move to close. Seasoned sales reps and deal negotiators excel at picking up “customer signals,” interpreting their meaning and then taking appropriate actions towards winning the deal. Of course, such people are also just as good at knowing when to give up on a sale that is a “waste of time.” The problem is, the average rep is mediocre at decrypting what I call the Sales Enigma. Without Benedict Cumberbatch’s portrayal of the “father of computer science”in the recent film, “The Imitation Game,” most people would not have heard of Alan Turing. However, Turing’s work on computable numbers in 1936 was inspirational to me in 2008 and lead me to the mathematical ideas underlying Salesphase. But, what I’ve been thinking about lately is Turing’s actual approach to deciphering WWII German navel communications encrypted by the Enigma machine. 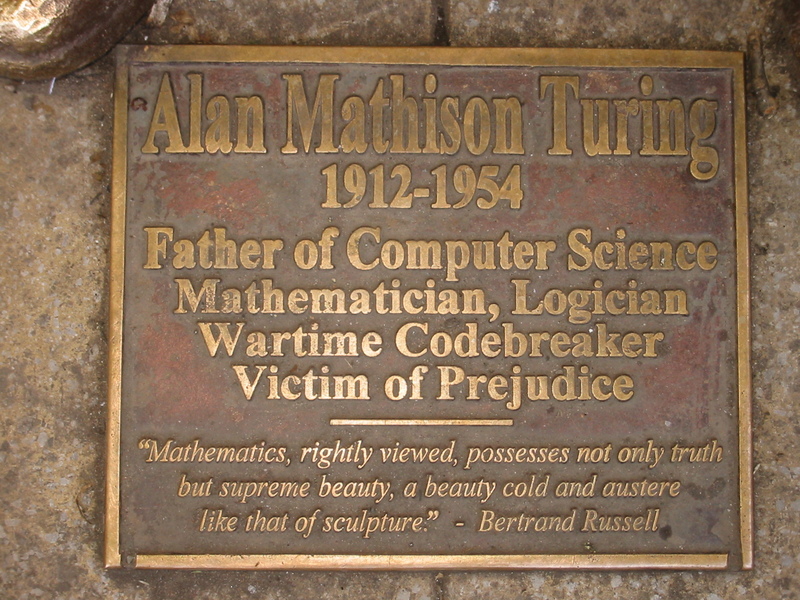 June 7th is the anniversary of both D-Day (1944) and Turing’s death (1954), so I thought I’d write about Turing’s influence on the underlying mathematical principals of Salesphase. at the onset of the Cold War, a homosexual with a background in military cryptography and knowledge of atomic secrets, may have been considered a target for enemy blackmailing. The idea that Alan Turing would betray his country to keep his homosexuality hidden is ludicrous in hindsight, but certainly it was a common fear within the intelligence agencies of the United States and Britain that may have caused them to prefer a dead Turing to an alive one. But, such conspiracy theories will remain for future historians to sort out. Many people think of Alan Turing as having “broken” the German’s Enigma encryption code, but that is not exactly what happened. The story is a long and fascinating one involving many people that I won’t cover here. I do highly recommend the 2013 lecture by James Grimes at the Perimeter Institute, where he not only explains the history, but demonstrates code breaking with an actual German Enigma machine. intelligence. He realized, based on the mathematics of group theory and logic, that if one guessed at a word that was probably contained in the encrypted message, AND one knew the internal construction and wiring of the Enigma machine (which he did thanks to a Polish mathematician), then it was possible to build an electro-mechanical machine to help quickly find the most likely initial settings used on the Enigma machine THAT DAY. In less than 20 minutes, the “British Bombe” as it was called, could rule out millions upon billions of possibilities as being impossible candidates for the daily German Enigma machine code setting. What was left was a list of possible codes that could be checked by human analysis to find the right one. Is this difficult to understand? Not so much if you think about it another way: You lose your car keys, but you know you had them yesterday. Where could they be today? You know they’re around somewhere because your car is in the garage. That means looking anywhere you were the day before leads to a contradiction–if the keys were at your friend’s house, your car would be there, not here. So, no reason to call you friend and ask if she’s seen them. As you look around the house you might rule out other possibilities: the keys can’t POSSIBLY be in that pair of pants because I got a stain on them last week and meant to drop them at the cleaners. Etc. etc. By ruling out contradictions you continually narrow down the places to search to the most probable locations. If you’re the type of person that searches randomly when you loose something, well, you might want to read up on the life and mathematics of Alan Turing. Alan Turing’s life and work is much more interesting than Salesphase, but I do want to finally explain the connection: Salesphase operates like the British Bombe to help sales reps decipher and interpret customer signals about particular deals. Salesphase mathematically quantifies the hidden information and complexity of each deal and then uses key information to eliminate great swaths of uncertainty and complexity that too often are considered “information.” In the Salesphase algorithm email communications, phone call notes, sales meetings agendas, etc. are noise. CRM applications, like Salesforce, encourages the collection of “noise” which it then attempts to organize and visualize using statistical approaches. Salesphase operates in a completely different way. It uses answers to a finite number of straightforward conversational non-technical questions to eliminate noise and identify the most probable next steps to closing a deal. Instead of complicated output, it generates a multidimensional shape that gives reps a visually intuitive understanding of the status of any opportunity regardless of customer, technology, deal size, complexity, etc. It gives an average sales rep access to the genius of Alan Turing. 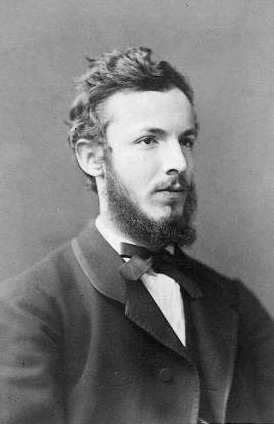 Happy Birthday Georg Cantor, legendary German mathematician (and philosopher). He would have been 161, today, March 3, 2016. Without Cantor, the Buzz Lightyear Toy Story mantra, “To infinity and beyond” would be nonsense. (Ah, did you laugh at that because it was nonsense?) Well Cantor wouldn’t be laughing based upon his invention of transfinite numbers. It is well-established in set theory (which Cantor also invented) that there are an infinity of infinities, each more infinite than the one prior. If you’re interested in learning about this concept, try the fast-paced entertaining book or audio performance that includes Cantor’s set of infinities, Zero: The Biography of a Dangerous Idea. Sadly Cantor was too far ahead of his time. He started suffering bouts of depression later in life, which historians often link with the harsh criticism he faced in his own time. His former professor, Leopold Kronecker, himself an elder statesman of German mathematicians and number theory, called Cantor a “corrupter of youth” for teaching his crazy number ideas at university. The journal Acta Methematica withheld publishing important work by Cantor. The editor wrote him that his paper was “…about one hundred years too soon.” I won’t go any further into Cantor’s history as it is well-covered across the Internet. 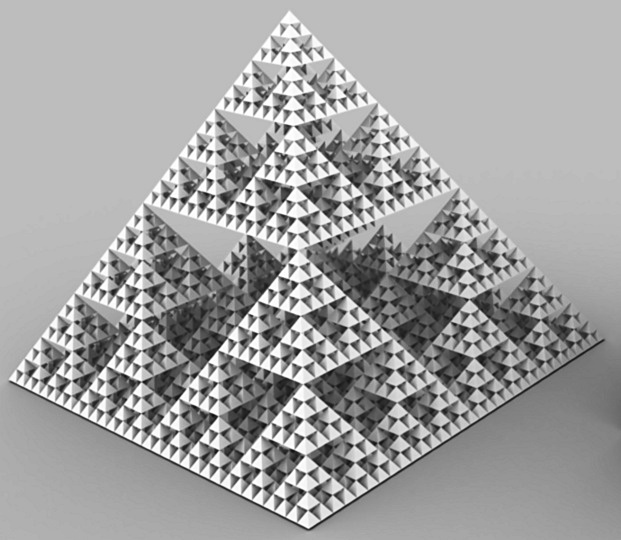 SALESPHASE owes a debt of gratitude to Cantor for his invention of set theory, one of the fundamental underpinnings of mathematics. His mingling of mathematics and philosophy were personally inspirational to me during the early formation of SALESPHASE and its new calculus for measuring, modeling, evaluating and interpreting imperfect information about complex strategic “deals” that can involve commercial, social, research or political opportunities. I’m impressed. I just finished reading U.S. Patent 9,189,770 Automatic tracking of contact interactions. This was recently granted to Bullhorn, Inc. for it’s “Pulse” sales acceleration technology. The patent and the product point to the same future of CRM I am evangelizing here at SALESPHASE. We differ in that Bullhorn Pulse is a magnificent step, versus SALESPHASE’s one-order-of-magnitude greater leap, into CRM’s future. Bullhorn Pulse provides an automated data analytic method of analyzing actual customer interactions to get a clearer picture of which deals are winning and which are losing. It uses its own patented remote access to contact tracking technology to automatically add a copy of any detected email message to the activity records of the sender and contact within the Bullhorn CRM system (or other CRM if I read the technology correctly). I agree completely with the co-founder and CEO of Bullhorn: “Sales activity reporting is dead,” Art Papas has stated, “Lots of activity and no engagement equals no results – we’ve learned this from listening to our customers over 16 years.” Art’s insights resonate deeply with my past experience as a sales rep, account executive and business development manager. It is the same basic reasoning that lead me to found SALESPHASE. Without knowing it, the sales component of typical Customer Relationship Management systems–even the most advanced applications available–remain sadly and securely rooted in Newtonian thinking. SALESPHASE is changing that by throwing out the fundamental axioms of sales acceleration technologies and replacing them with new thinking, new math and new algorithms hidden completely behind an ultra-simple user interface and experience. But that’s getting ahead of the thought train I’m trying to conduct here, so first let’s go back a few hundred years to Newton. Newtonian thinking includes in its most fundamental principals the following logic: Given perfect information at any point in time (initial state) we can predict what will happen at any future time (final state). Of course this is theoretical, because we rarely have access to perfect information. But my experience with CRM and sales acceleration applications over the past 15 years has been witness to a continuous striving towards “perfect information”. Technological progress with respect to the Internet, smartphones, data collection and analytics feeds right into the Newtonian paradigm of seeking the illusive fountain of perfect information. If we can know exactly what our customers are thinking, planning and doing we could (in theory) custom design a marketing and sales strategy for each customer. This was impossible a decade ago, but technology today allows even huge companies (with the requisite resources) to nurture a sense of one-to-one relationship with customers. This is why I’m invested in Marketo for its digital marketing technology designed to provide real-time engagement with customers whether by email, video, social media, etc. But digital marketing is not always the answer, especially for high-value long sales cycle products and technologies. SALESPHASE is aimed squarely at complex sales where the cost of getting to the deal phase with a customer is substantial. I do not dispute that the better our information is, the better our actions based on that information will be. But there is a marginal cost associated with moving to the next level of “better information” in your business, whatever that might be. And as information increases, gathering, storing, analyzing and finally using it gets more complicated and costly. I think we can agree intuitively, without any formal proof, that the marginal cost of better information approaches infinity as we approach the limit of perfect information. This implies that perfect information is both functionally and theoretically impossible to obtain. This is no breakthrough in sales thinking or information science, but acknowledging this problem allows us to ask if there is some other fundamental principal or principals which could take sales metrics from an 18th century basis to a 21st century basis? Well, we don’t even need to go that far. We can stop in the early 20th century to find an appropriate new axiom: between 1905 and 1915, Einstein abolished our scientific pursuit of perfect information in fixed space and time, and replaced it with the philosophically challenging but wonderful uncertain universe of “the quantum” (at small scales) and the flexibility of space and time at large scales and high momentum. What could this possibly mean for sales acceleration applicatons? While Newtonian sales is about pursuing perfect information, Background Independent Selling is about extracting actionable knowledge out of far from perfect information. I call it Background Independent because it can be implemented regardless of ANY differences between sellers, buyers, products, technologies, industries, etc., (all of such things I refer to collectively as “the background”). For more context on what I mean by background independent, go here to read how the background environment is a source of sales friction. So MUCH of the data that is pumped into sales CRM applications is highly specific information, but so what? I have designed, implemented and used sales CRM applications across multiple companies over a 15-year period and, for the most part, I’d say the data is spotty, full of mistakes, and rather useless. Marketing people would still call my mobile phone looking for customer information and insights, and my manager just looked at sales numbers and bugged me for answers if I weren’t hitting targets. Sale reps who repeatedly hit targets were let off the hook on their sloppy CRM data, and poor sales reps were lashed and then tied to their laptops to spend hours logging data to prove they were working. After implementation, I found CRM systems would take on a life of their own…they had to be FED and became the master instead of the servant. CRM including sales-related components is implemented from the top down as a tool of management, not a tool that makes sales people better at their job or one that eases their job so that they can spend more time with family (or in the field). I can’t think of any company that has EVER implemented a CRM process that its sales force found to be invaluable. Recently one of my colleagues was attending a conference of business aircraft owners. She was seated for dinner with a CEO who remarked that he’d spent a fortune implementing a major enterprise CRM system for his sales force only to s#^%-can it months later. One can often attribute these failures to lack of planning, substandard technical implementations, insufficient training, or poor promotion of the new system. But in this case, the primary issue was a complete lack of buy-in from the sales force. In my opinion, the CEO’s complaints were unrelated to whether it was SAP, Oracle/Siebel or Salesforce; so I’m not going to name names here. But I’ve worked with all three and know that the problem was platform-independent. Entering CRM data is time consuming and doesn’t match deal flows. I think these reasons require no further explanation, but certainly, please follow the link to the article if you wish to dive deeper, or read my earlier blog article on The Trouble with High Tech Sales Tools. It generates measurements that allow comparison of sales rep performance, deal risk and probability of close regardless of the size of the deal. More importantly, it exposes the probability that a deal is accurately reflected at the right position in the sellers pipeline. It distinguishes very early on which deals will be simple and fast from those that will be longer and more complex. This allows proactive sales resource allocation and reveals potential hidden problems before it’s too late to solve them. I will discuss the details under nondisclosure, but please bring someone from your team who possess a PhD in mathematics, as well as a solid mathematical programmer—not a coder. Email me: john at sales phase dot com, or tweet me @salesphase. Is Gauge Variance Messing With Your Sales Team? Let’s tap into the abstract concept of gauge variance to distinguish a particular type of common sales team dysfunction. First, bare with me as I explain what this gauge variance thing is all about. I will start with the exact opposite property, gauge invariance because the most fundamental aspects of the universe possesses this property–more often called gauge symmetry. This extremely abstract property is difficult to adequately describe here, but its effects are very important to us. For example, we literally see things because electromagnetism (light) is a necessary consequence of the gauge invariance of the electron field. Because the dynamics of electrons are constrained by gauge invariance, it necessarily follows (thanks to some mind numbing graduate level mathematics), that photons of light MUST exist to transmit energy (some would say “information”) between electrons. I for one am very happy Mother Nature requires gauge invariance because, among other things, it enables me to see Facebook status updates alerting me to stomach ailments of “friends” I haven’t spoken to in 25 years. Setting aside Facebook and electromagnetism, think of gauge invariance like this: if I measure the value of a sales deal in dollars and my customer measures the value in euros, we do NOT get different results in terms of value. There is always a publicly available market-driven currency conversion factor which we can use to verify that we both measured the same value for a deal regardless of our choice of currency (our choice of gauge). Now contrast this with measuring something like the coastline of California. If I measure the beautifully rugged California coastline with a yardstick and my counterpart measures it with a ten-foot pole, will we get the same result? No! The concept of “length” in this case fails gauge invariance–it is gauge variant. It turns out that the length of any randomly uneven surface we measure can grow to infinity as the choice of measuring stick gets shorter. As our choice of ruler gets smaller, our measurement picks up ever smaller variations in what makes up the “edge of California.” As we would expect, this is related to resolution. As you zoom in on the coast, you continually see more detail of the actual coastline. In essence, measuring a coastline is scale dependent. Ask me how long the coastline of California is and I will ask you how big is your ruler? Now, my proposition with respect to sales is that sales teams often measure deals (informally or formally) in ways that are scale dependent. To say the same thing in different words, sales analysis tends to be gauge variant. It is the differences in choice of gauge which lead to misunderstanding, disagreement and wasted effort. For example, I found during my 15+ years in sales that sales management and marketing tend to work at the macro scale to set pricing, make national sales predictions, etc. Sales reps conversely tend to work at the micro scale of individual customer agents, budgets and local competitive conditions. It doesn’t take a lesson in physics to intuitively understand that this leads to mismatched results and disagreements about what is happening or what is possible. Nevertheless, I prefer the rigor of math and science to stimulate my thinking and analysis of age-0ld sales problems. Gauge variance whether in physics or sales is a constraint that a theory must have to remain consistent (only sensible answers and no contradictions). In the sales world, this can be intelligently worked around or swept under a carpet (preferably up in the marketing department where no one will look), but how often does that currently happen? How often did I see, or participate in, ground-up sales estimates that started with local competitive and customer conditions and then rolled up logically to the larger scale of national sales budgets and pricing decisions? How about never. It might get talked about, but it never actually happened. Budgets, pricing, quotas, etc. were all top down starting from CEO/CFO expectations for the division, and from division leaders to business unit directors. Business unit directors would then work feverishly with sales and marketing management to come up with plans that would be acceptable “upstairs”. Finally, at the annual division sales meeting that kicked off each new year, I’d get a territory expectations report that made me want to shout, “You want WHAT when?” This is only one example of where the problem of gauge variance starts to rear its ugly head in sales departments. At each point in the process, from the CEO down to the sales rep, there are dozens of conscious and unconscious choices of gauge that fail gauge invariance and lead to unexpected results, disagreements, confusion and general sales friction. Tackling this issue might be too grand a vision to start. What about within sales departments? Why not acknowledge problems of gauge choice upfront? Typically a sales manager will inquire how a rep is coming along in terms of hitting sales targets. If the rep is at or above quota and feels confident, then the response will be “No problem!” But if there is a problem, the rep typically responds with a stream of detailed customer “issues” that are creating barriers to success. The manager’s choice of scale is likely “percent of quota” or “percent of budgeted revenue dollars.” The reps response is based on some completely different measure such as customer specs, customer budgets, etc. The question is who is right and who is wrong? It’s hard to tell wrong from right when the choice of gauge is not explicit. The manager can be right that the sales rep is under-performing budget, while the sales rep is also right that according to his choice of gauge, he is presently achieving super-human progress against insurmountable odds. What would be better is to have ways to measure performance at specified scales and then a way to connect those results across differing scales. Great sales managers are intuitively good at changes of scale and how to connect between them. Once a sales manager sees a problem at one scale, she changes her perspective and engages with the rep at the scale where a problem is occurring. Conversely, a great sales rep who is under performing plan will FIRST acknowledge that according to the choice of sales management gauge, his numbers are “in trouble.” Then he openly leads his manager into a discussion based on a different scale and asks for guidance and help AT THAT SCALE, which when rolled up to another scale will make a positive difference. From the beginning of inception I have developed SalesPhase to avoid scale dependent problems that occur in sales measurements. How? By taking advantage of something known mathematically as discrete scale invariance, which in this discussion might be better termed, discrete gauge invariance. By carefully choosing a gauge that works at multiple (but fixed) scales important to corporate management, sales management and sales reps, a significant amount of sales friction can be avoided. When management and reps share a language of measurement that is discrete gauge invariant, there is far less disagreement and far greater focus on solving the problems at hand. If you are interested in discussing the mathematics and science underlying the SalesPhase approach to sales management, tracking and communications, follow me on Twitter or tweet me privately, John Clark @SalesPhase. “SALES FRICTION” is wasted energy in the form of wasted time and resources during the process of a buyer and seller coming together to close a proposed deal. During 15 years managing complex high value long sales cycle B2B transactions, I found great advantage in finding ways to reduce sales friction. Simply stated, aligning sales efforts with the customer’s buying phases was the key to reducing friction (as happens in any physical system which gains coherence). But, how to do this consistently when starting with imperfect or zero knowledge of the customer’s buying agents and internal processes? Due to superior knowledge of their sales process, sellers naturally select their internal sales funnel as a “sales gauge.” Unfortunately this is a poor choice of gauge if one is trying to measure the likelihood of a SPECIFIC customer making a SPECIFIC (large or complex) purchase. There are statistical correlations between a vendor’s sales stage and probability of closure, but can we do better than these correlations? Yes, we can. Salesphase is a methodology that is independent of any particular buying or selling process. The scale and scope of the deal makes no difference. Sounds “universal?” Let’s check: to claim a “universal solution” to any set of problems (including sales friction), it is well established historically & mathematically that such solution MUST be based on one or more underlying physical or abstract symmetries. “Symmetries” can be difficult to define, and as an aspect of Salesphase is kept securely tucked “under the hood.” But in the context of the underlying algorithm, symmetries are groups of transformations which leave some property of a system invariant (fixed, unchanged, indistinguishable). Salesphase exploits invariant properties of the selling/buying process to unlock hidden information critical to reducing sales friction and other sales dysfunctions. Salesphase realistically assumes a world of IMPERFECT/INCOMPLETE customer information which can be enhanced as information is learned or modified. Salesphase is a methodology leading naturally to an algorithm, and is not competitive to CRM or data analytics. Instead it is a framework for extending the value of existing tools while reducing total sales effort and increasing the accuracy of sales predictions. Tweet or follow John Clark, @Salesphase, to discuss.